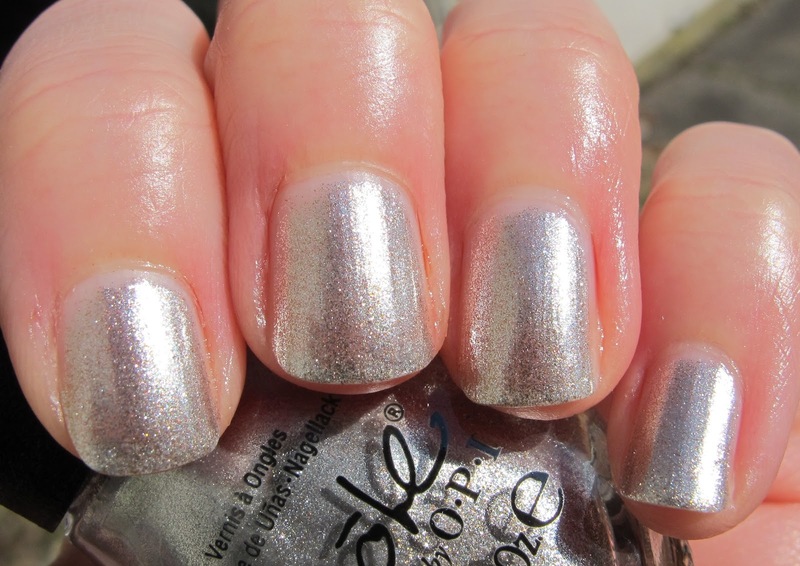 Never Enough Nails: Nicole by OPI New Walmart Exclusives! Remember a few weeks ago when I posted the preview of all of the beautiful new Nicole by OPI goodies? Well, I got them all the other day and have the three pretty Walmart exclusives for you today! 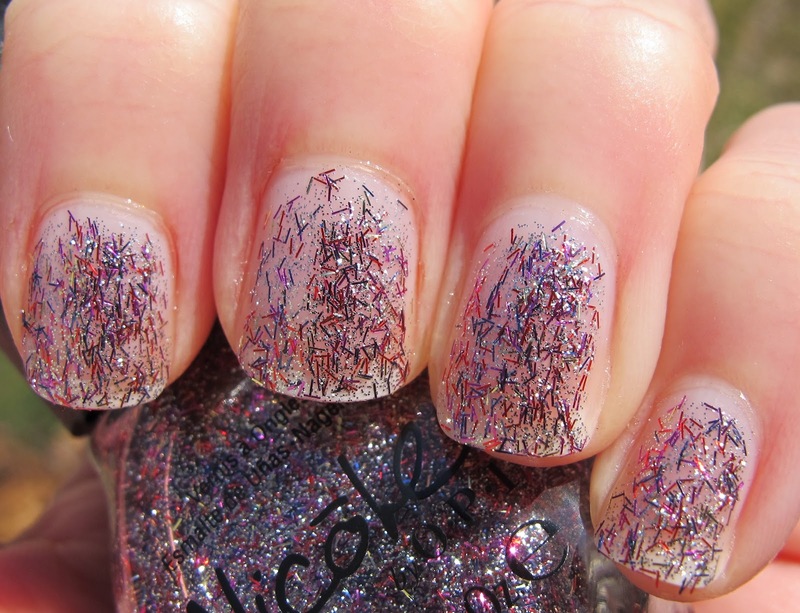 One thing to note right off the bat, these three polishes look so pretty together! They would make a very cool multi-colored mani using all three. I will probably try that next. Nicole by OPI Best Pink Ever is a pretty glass-fleck pink polish with a hint of purple/blue to it. I wouldn't go so far as to call it duochrome, but it's definitely a purple-y/blue flash in some lights. 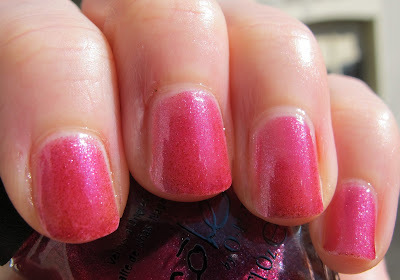 Best Pink Ever is very pretty and I can see myself wearing it, especially in the spring. 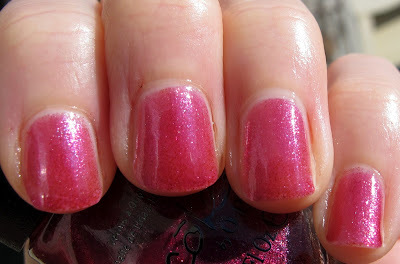 Best Pink Ever is a little sheer, it definitely requires three coats. Other than that, the formula was lovely and easy to apply. Nicole by OPI The Gold Shoulder is... not gold? I guess this could be called White Gold, but it's definitely not a warm gold, or anything like what I think of when I hear the word "gold". The Gold Shoulder is a very pretty metallic pale white gold/silver. 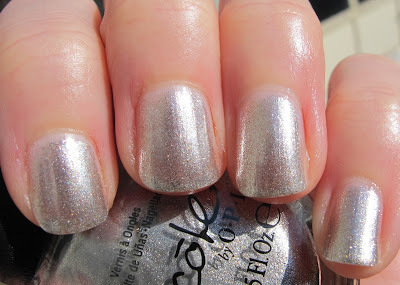 I love a good metallic polish, so naturally I love it! The Gold Shoulder also needed three coats, but was opaque with the third coat and applied nicely. 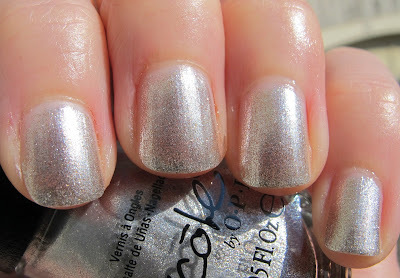 Nicole by OPI Fabulous Is My Middle Name was the polish I was looking forward to the most (how predictable of me!). It does not disappoint!!! 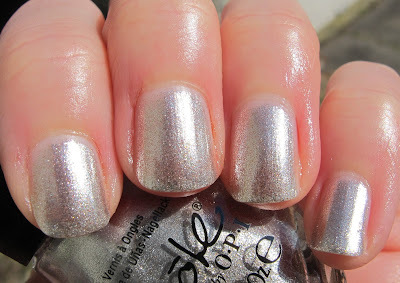 Now, what we couldn't see in the promo pictures is that this polish has teeny little bar glitters!!! SO COOL! 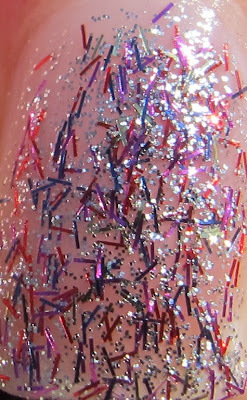 Fabulous Is My Middle Name has very fine silver glitter and mini bar glitter in purple, red, blue, silver and maybe pink too. 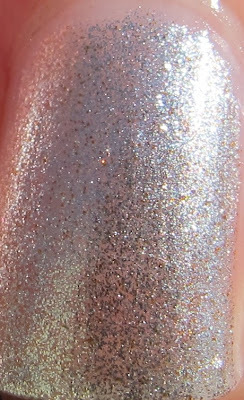 This is three coats of Fabulous Is My Middle Name and it is actually more opaque in person than in these pictures (silly macro lens!). 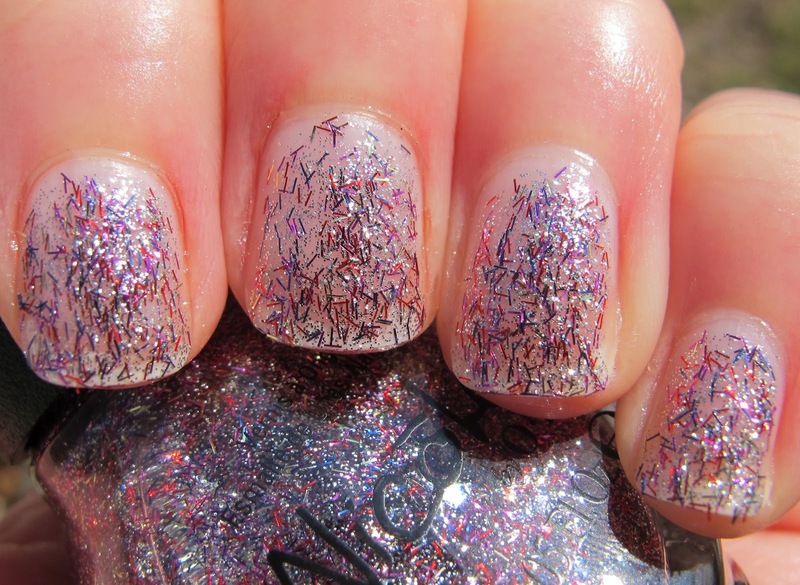 One coat would make a great topper for another polish. I can't wait to try it over black. But, it's totally wearable and cool by itself with three coats. I LOVE the mini bar glitter, it's so cool and unique! I am very pleased with all three of these Nicole by OPI Walmart exclusives. 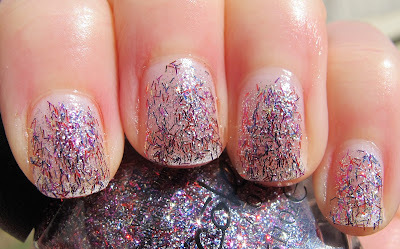 Fabulous Is My Middle Name is totally unique in my collection, thanks to the multi-colored mini bar glitter. Best Pink Ever and The Gold Shoulder are gorgeous additions to my collection as well. I can't wait to wear all three of these as a cool multi-polish mani! 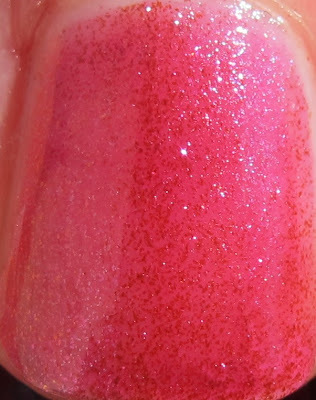 These Walmart exclusive lacquers should be available now at select US Walmart locations and walmart.com and in February 2012 in select Canadian Walmart locations.